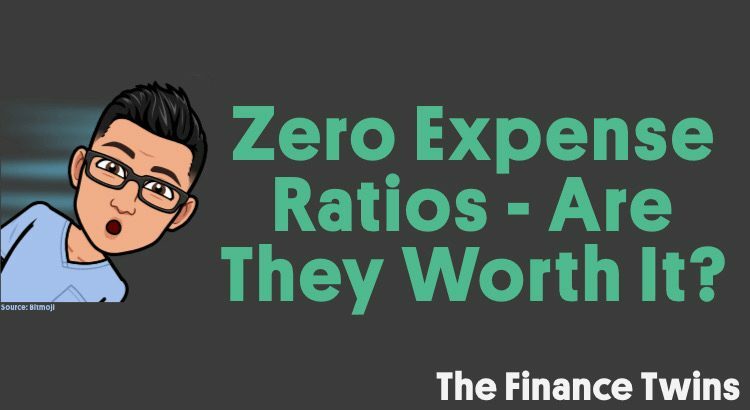 Zero Expense Ratios: Are They Worth It? Fidelity, one of our favorite investment managers, recently announced that they’d begin offering two separate index funds with no commission fees and expense ratios of zero. That’s right, ZERO fees. Which is exactly what they are calling their new funds: Fidelity ZERO Total Market Index Fund and Fidelity ZERO International Fund. This means that every penny you invest will be working for you instead of some of your money going to line the pockets of the mega-rich brokerages that hold your investments. With the frenzy around these new funds, we’ve been getting bombarded on Instagram (we LOVE hearing from our readers so keep the questions coming) about whether it makes sense to switch from Vanguard, Charles Schwab or other brokerages to Fidelity to take advantage of these new index funds with zero expenses. If you’ve read our intro to asset allocation, then you already know that these funds will be popular for those saving for retirement due to the broad diversification that they offer. To answer the questions about whether it makes sense to switch to Fidelity to access these no-fee funds, let’s dig into the numbers to see how much money you’d save, and also take into account other reasons (potential tax implications, convenience, etc.) why it may make sense or not make sense to switch over. But first, do these new funds truly have no hidden costs? Do These New Fidelity Funds Actually Have No Costs? Yes! This isn’t a gimmick or a limited time offer. Both of Fidelity’s new zero cost funds have expense ratios of 0.0%, have no marketing fees, and if bought directly from Fidelity have no transaction fees. Pretty awesome. It’s currently a very competitive market and all of the brokerages are fighting to acquire new customers. When there’s competition, the consumer wins! These funds are starting to sound like a no-brainer for many investors, but first let’s look at the numbers. To see what the math looks like, let’s begin by assuming you have a portfolio of $100,000. If you portfolio is larger or smaller, you can just scale these numbers to fit your needs. After 1 year of investing $100,000, you’d pay less than $100 in fees on all of the funds with the exception of FWDI. FWDI has an expense ratio of 1.26%, which at first glance might not seem too high, but it is! Remember that expense ratios are one of the most important factors when it comes to choosing investments, since they eat up your returns! It’s 14X higher than the next highest expense ratio of the funds we compared. And 31.5X higher than VTSAX’s 0.04% expense ratio! After 10 years, the total fees you’d pay would range from $0 all the way to $15,298. Let’s take a look and see how the total value of the portfolio would be affected by these expenses. How Do Expense Ratios Affect The Value Of My Portfolio? After 30 years at 5% annual returns, your portfolio in FZROX would be worth $5,034 more than VTSAX, $11,247 more than SPY, and $134,047 more than in FWDI. You can see the breakdown by year below. You might be wondering why the portfolio of FWDI is worth $134,047 less than FZROX after 30 years even though total fees for FWDI were only $69,006. This is due to the power of compounding. Each year you paid more in fees resulted in your portfolio being smaller and thus generating smaller relative returns than if you would have not had those fees. This illustrates the fact that there is an annual effect of fees, but also a compounded effect that takes place over time. Ouch. Should I Exit VTSAX or SPY to Invest In FZROX? Clearly, when it comes to retirement, you want to have as much money as possible. And the good news is that if you are investing in a tax-sheltered account like an IRA or a 401K, you won’t incur additional capital gains taxes if you decide to sell your existing investments to lower your expense ratios (as long as the money remains in the account). If you are investing in a taxable brokerage account, you will incur a taxable event any time you sell any stock, bond, index fund, ETF, etc. But while having more money for retirement is clearly optimal, will having $432,194 vs. $427,160 make a huge difference? Sure, those extra $5,034 dollars could help pay for a grandchild’s education but over a 30 year period, it will only be worth a little more than 1% of your portfolio. For some, that is HUGE, while some of you might think it’s not a meaningful difference. Only you know if that is worth the time it will take to make the switch. For some, it’s well worth it and you might have already made the switch. For others, simply the thought of moving their investments gives them a headache. Sure, you can even invest in the zero-fee fund even if Fidelity isn’t your brokerage, but if you want to truly minimize costs, you might as well use transfer to Fidelity to avoid any fees for not buying directly from them. However, if you currently pay fees or net expense ratios anywhere near 1% on your ETFs or Index Funds, you have A LOT to gain by lowering your fees. $298K vs. $432K is a huge difference. This truly is a no-brainer. So in summary, knowing if a zero expense ratio is worth it depends on where you are coming from.